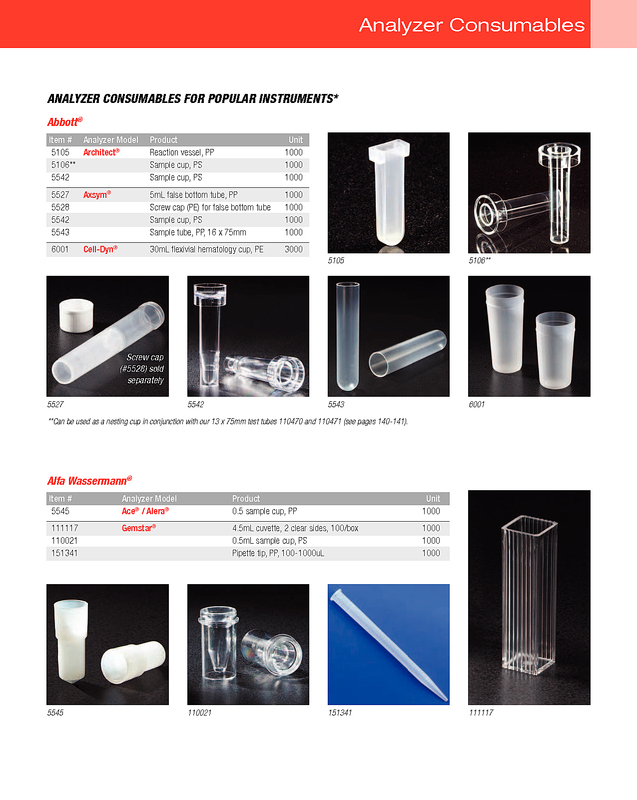 sample cup is designed for use with the Abbott Architect Series Analyzers. The sample cups are packaged 1000/bag. Note: All instruments and names of manufacturers mentioned herein are the trademarks of their respective companies and are used for reference purposes only. Inc. expressly disclaims any affiliation to them. This product is produced by and is not the OEM product.